People often question what difference being a ‘Co-operative Council’ makes. Glasgow City Council has a very interesting answer to that question especially in relation to promoting a fairtrade sports goods co-operative. One of the most positive outcomes of the “Co-operative Glasgow” project has been the creation of a new co-operative “Bala Sports”. This new co-operative enterprise is retailing and distributing fairtrade footballs from Pakistan. The support from Glasgow City Council’s Co-operative Development Unit has enabled Bala to get started and is now generating sales across the UK and even from Finland. Bala recently supplied fairtrade rugby balls as part of the promotion of Milan Expo 2015 ahead of the Scotland-Italy Rugby international. 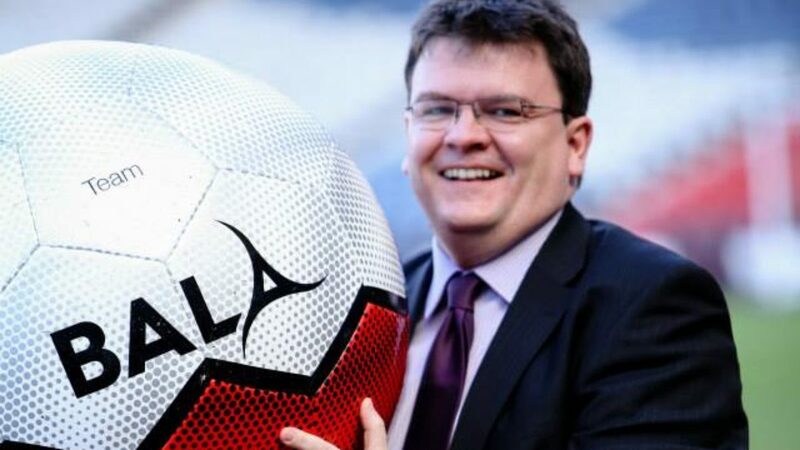 Bala expect to announce a major sponsorship deal in the next month and currently have a Share Offer to fund a major expansion into the sports balls market. Should you take up this offer of membership, in true co-operative fashion, you will be entitled to one vote in the democratic running of the co-op, whether you invest £50 or £20,000. More importantly, you will be supporting fairtrade and co-operative development at the same time. Councillors and others might wish to think about the amount of money which councils and their arms-length leisure organisations spend on sports goods. Only 0.25% of sports balls sold in the UK are currently fairtrade. With the help of Bala Sports and others this can be improved. Councillors should ask their councils to look at supplying fairtrade sports balls. We should all be asking why our professional sports clubs aren’t using fairtrade footballs. During Fairtrade Fortnight Neil Bibby MSP for West of Scotland orgnaised a Fairtrade Football Competition. This event was well attended and was opened by Shadow Foreign Secretary, Douglas Alexander MP.